Eggs are one of the most common allergens. Affecting approximately 1.5% of children, they are the second most common allergy. Most children will outgrow an allergic reaction to eggs before adolescence, but occasionally it carries over into adulthood. Adults can also develop or maintain sensitivities to eggs that cause chronic inflammation yet less severe reactions. It’s possible and very common to be allergic to only the egg white or egg yolk. Since it’s never possible to completely seperate the yolk from the white in your home kitchen, eggs still must be avoided entirely. Bird-egg syndrome, which happens when people who have had direct contact with birds (often as a pet) develop a respiratory sensitivity to the protein in the bird’s dander, feathers, etc., which in turn develops into an egg allergy/sensitivity. This is more common in adults (particularly women) than in children. True allergic reactions to eggs are from the protein within the entire egg, egg white or egg yolk. The reactions can appear within minutes after eating, but may take a few hours. Typical reactions are in line with IgE allergy reactions, particularly skin reactions including hives and eczema, but also may include itchy or red eyes, wheezing, coughing, swelling, nausea, diarrhea, vomiting and stomach pain. The most severe reaction to eggs, though rare, is anaphylaxis, which will require immediate medical care. If you suspect you or your child has an egg allergy, be sure to consult with your doctor. An egg sensitivity can develop later in life for a multitude of reasons. 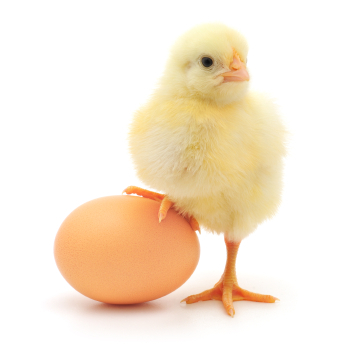 A sensitivity will also be from the protein within the egg. The difference between an egg sensitivity and allergy is the same as all foods – with a sensitivity it will be a slower, potentially more mild IgG reaction. Sensitivities may present themselves more commonly as digestive distress. People with egg sensitivities who continue to consume eggs will have chronic low levels of inflammation, which will cause chronic distress. Some people need to eliminate eggs from their diet indefinitely, while many others may introduce back in on a rotation basis, after obstaining for a period of time. You can easily determine if you have an egg allergy by visiting your health practitioner for a skin prick or blood test. There are blood tests available that will also help determine a food sensitivity, such as the ELISA delayed food allergy test. A happy chicken makes for healthy eggs.Often time people develop sensitivities to low quality factory farmed eggs. You must consider where you buy your eggs and what the hens are eating that lay these eggs. 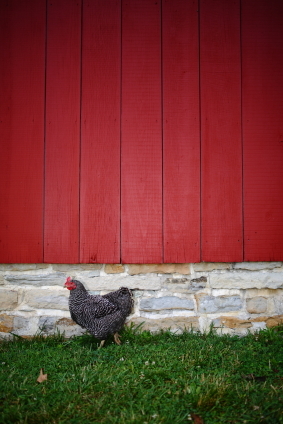 Commercial hens are often never exposed to the outside, fed GMO corn (a very common allergen) and other food stuffs, and may be genetically altered. Certain vaccinations may not be an option for people with egg allergies, in particular children. The flu/influenza vaccine usually contains egg protein, which is suffiicent enough to cause a reaction in those with allergies. If you are considering any vaccine for yourself or your child, discuss with your doctor before obtaining. Most people have allergies to chicken eggs, but individuals with egg allergies should also avoid duck, turkey and other poultry eggs, as they tend to be cross-reactive. It’s obvious eggs are out of the question, but it’s important to understand how often eggs are used in baking and cooking. Manufacturers of foods sold in the United States are required to list on their labels whether a food contains eggs. Any packaged food that does include eggs should read “contains egg ingredients,” “made using egg ingredients,” or “made in a facility that also processes eggs.” This makes things a bit easier, but you should still know culprits on ingredient labels. A safe method is to look for a ‘vegan’ symbol, or shop that section of your health food store. 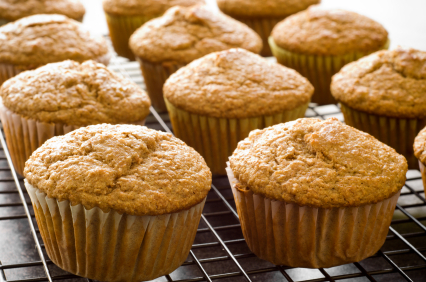 Many baked goods contain eggs, so always check before consuming. For example, pie crusts don’t usually include them, but are usualy brushed with them while baking to give them that golden glow. It’s important to uncover this before consuming. Working with a nutritionist can be extremely helpful for guidance. The Food Allergy & Anaphylaxis Network has created a useful guide for avoiding eggs. You don’t have to give up baking…or more importantly, eating baked goods.You can absolutely bake or cook without eggs. As a general rule, the fewer eggs a recipe calls for, the easier it will be to substitute. Scroll down my egg-free substitution solution page for tips.